ABC has released its 2014-2015 lineup. It includes a slight move for Agents of S.H.I.E.L.D., which will return for Season 2 this fall, but will air an hour later than usual. Meanwhile, Scandal and Grey's Anatomy have been shifted up on the Thursday night schedule. Among the new series are AMERICAN CRIME, Black-ish, Cristela, Forever, Fresh Off the Boat, GALAVANT, How to Get Away with Murder, Manhattan Love Story, Marvel's Agent Carter, SECRETS AND LIES, Selfie and THE WHISPERS. Returning drama Resurrection is set up on Sunday night, along with Once Upon a Time and Revenge. I think The Goldbergs' move to Wednesday nights will be a good thing. I hope so, anyway as it's wedged between The Middle and Modern Family. 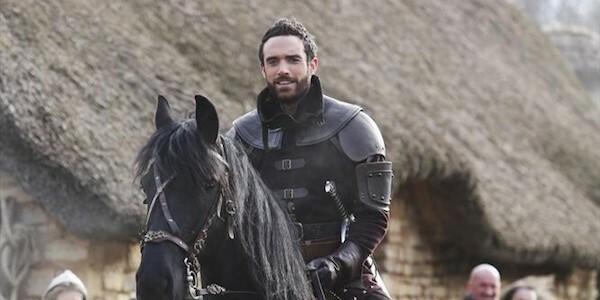 Meanwhile, we're not seeing Agent Carter on the lineup, but ABC says that's one of two shows (Dan Fogelman's Galavant -- pictured above -- is the other) that will "serve as bridge programming between the fall finales and winter premieres of Marvel's Agents of S.H.I.E.L.D. and Once Upon a Time respectively." So we might expect to see Peggy Carter on the small screen sometime in December? ABC doesn't specify a month. We'll have more information, photos and videos for the new shows coming soon. In the meantime, you can view the Fox lineup here and the NBC 2014-2015 lineup here.